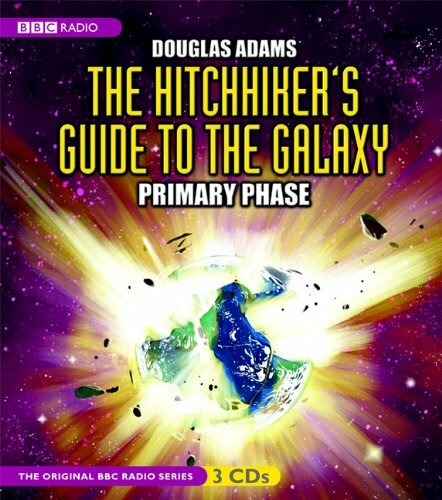 What's the Difference between The Hitchhiker's Guide to the Galaxy the Book and The Hitchhiker's Guide to the Galaxy the Movie? The planet Vogsphere is described, but the characters never go there as it was said to have been long abandoned. They travel to the Vogon planet, Vogsphere, where they rescue Trillian, before continuing to Magrathea. Zaphod is pursued by Galactic Police for stealing the Heart of Gold. The Vogons disappear from the story altogether after Ford and Arthur are rescued by the Heart of Gold. The Vogons and a new character, Galactic Vice-President Questular Rontok chase the Heart of Gold, to save Zaphod from his kidnapper, who happens to be himself. Trillian was fairly ambivalent toward Arthur and never really a romantic interest. They fall in love. The creation of the second Earth is suspended indefinitely. The main characters escape Magrathea one way or another, and eventually end up at the Restaurant without restoring the Earth. Earth is restored completely back to normal and then the main characters set off for the Restaurant at the End of the Universe.